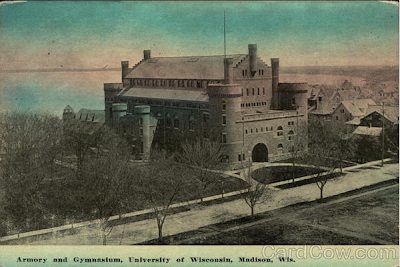 University of Wisconsin Armory and Gymnasium (aka "Red Gym") is located on the University of Wisconsin-Madison campus on westbound Langdon Street, at 716 Langdon Street, Madison, Wisconsin 53706. 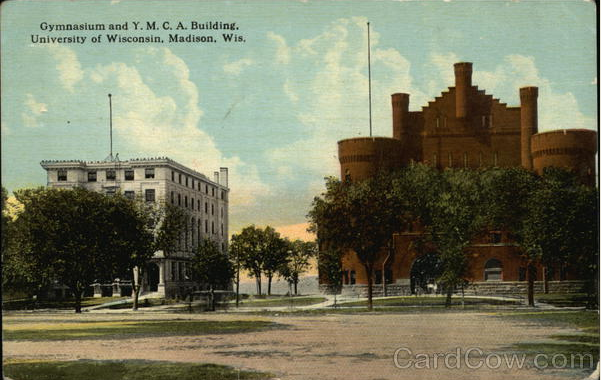 This was the site of the 1904 Wisconsin Republican Convention, a seminal event in the history of the Progressive Movement. At this convention, Robert M. La Follette's Progressives defeated the Stalwarts for control of the Wisconsin Republican Party. Widespread favorable publicity launched La Follette on the national scene. 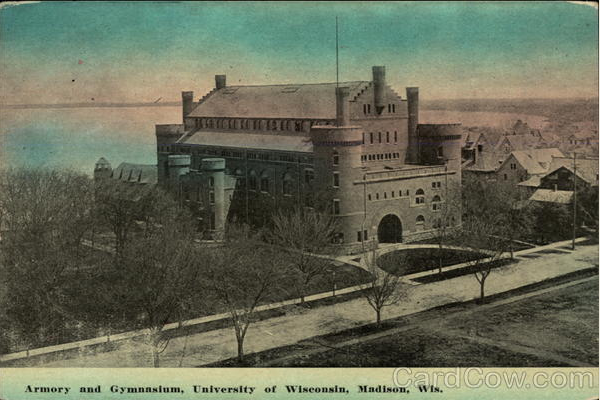 The controversy and legal suit engendered by the "Gymnasium Convention" and La Follette's subsequent vindication by the Supreme Court of Wisconsin led the Progressives to victory that November, giving them a majority in the state legislature the following year. This allowed the enactment of substantial reforms, many of which were subsequently adopted by many states across the Nation. 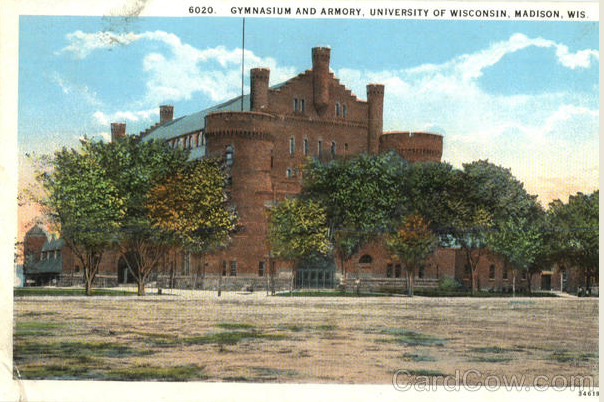 The University of Wisconsin Armory and Gymnasium, also called "the Red Gym," is one of the most beautiful and recognizable buildings on the UW-Madison campus; the building houses many student services offices, including International Student Services. 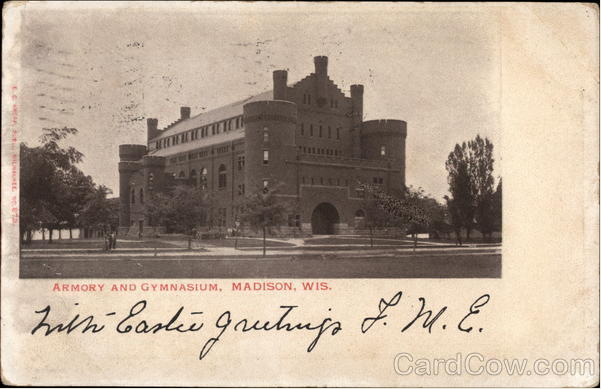 The Red Gym was originally used as a combination gymnasium and armory beginning in 1894. Designed in the Romanesque revival style, it resembles a red brick castle. 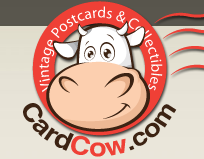 It is situated on the shores of Lake Mendota, overlooking Library Mall, and adjacent to Memorial Union. 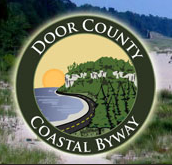 This document is the "first-ever Historic Structure Report on a state-owned building", completed in the summer of 1992. 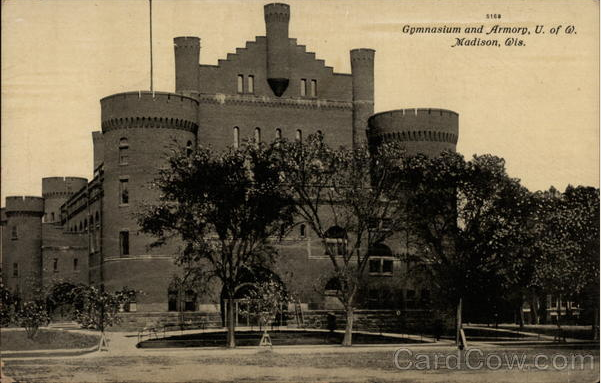 See also, Armory & Gymnasium, also at this location.